The dynamics of internationalization are changing. Many of the students that traditionally would have traveled overseas to study for an international qualification are now pursuing foreign degrees in their home, and at local institutions through an array of collaborative arrangements with degree-awarding institutions from major education-exporting countries. Students in this segment of the international education market, referred to as transnational education (TNE), study for foreign qualifications in any manner of ways. The Millennium Universal College is a Transnational Higher Education provider it takes pride in offering a creative and dynamic learning environment, a diverse and dedicated faculty and a student body belonging to various parts of Pakistan and the globe. The Millennium Universal College has a purpose-built campus complete with Auditorium facility, lecture halls, seminar rooms, libraries, computer labs, student common rooms, study spots and areas and campus most popular spots like cafeterias, pool tables etc. The campus has ample ground area for outdoor sport activities, including soccer, cricket, volleyball, and badminton. Its sprawling campus in H-11 complete with its own parking and an Auditorium reflects a typical university setting. The spacious, airy campus has high-speed wireless Internet access, power outlets in convenient spots to juice up your laptop and mobile devices, and countless cozy corners for quiet study or group discussion. There are food outlets, as well-stocked bookshop, a spacious library, a gym and student lounge, the central atrium and an auditorium provide spaces that can be used for academic purposes and for social gatherings. Apart from providing rigorous academic training to its scholars, The Millennium Universal College also offers them an elaborate system of club activities including debate, drama, music, poetry recitation, chess etc. A range of events and functions are organized by these clubs throughout the year. The student council and student community oncampus is actively involved in Community and social welfare activities. MoU’s have been signed with various NGO’s and INGO’s for students to be active global citizens and become holistically better pupils. We believe in the power of education to change lives; that international exposure and engaging beyond one’s traditional cultural comfort zone builds confidence, maturity, and global expertise and that tomorrow’s leaders deserve greater choice, mobility and opportunity as part of an increasingly interconnected global community. We are deeply committed to the idea that cross-cultural fluency, international savvy and a solid grounding in foreign languages will give tomorrow’s change-makers a distinct competitive advantage in their future endeavors as leaders across different professions like business, finance, diplomacy, law, journalism, public policy, politics, academia and international relations. We are committed to the belief that these “global citizen” habits are best learned in the formative student years. We inform & inspire our students to gain the international training and experience, leadership and language skills, and personal contacts that are vital for success in an interconnected world by providing them with access to tailored educational and pre-professional advancement opportunities in the United States. We challenge our students to discover their maximum potential and achieve bigger goals by exposing them to other cultures and ways of life. TMUC is a market leader in offering transnational qualifications, organisational development and has partnered with some of the biggest and best-known organizations in the UK. The Millennium Universal College is an institution of higher learning dedicated to providing innovative undergraduate, graduate, and professional education. By bringing a range of international qualifications home, TMUC aspires to be recognized as the leading institution of borderless education, committed to providing opportunities that exceed local stream of education to the youth of Pakistan. TMUC is currently a provider of transnational education; we have collaborative arrangements with renowned foreign institutions with professional and higher education portfolios. From Diploma, Foundation, to Bachelors and Professional Certifications, there is a programme to suit your preference, professional needs and career requirements. TMUC is affiliated with Edexcel International Examinations, UK to offer BTEC Higher National qualifications in Pakistan. TMUC center# is 91349. Edexcel is the brand name for academic and general qualifications from Pearson, including, Higher nationals, Professional qualifications, GCSEs and A levels, as well as some vocational qualifications, including NVQs and Functional Skills. 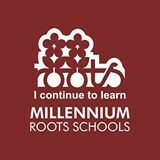 Mutual Understanding between Roots Millennium Schools & Intel, Pakistan that will serve as a framework within which both organizations may, share mutually beneficial, cooperate in support programs and workshops. It is intended that this agreement will promote joint coordination and exercise of both Roots National Institute of Teacher Training & Education – RNITTE & INTEL to recognize the potential and capability of members of both organizations in the furtherance of educational goals. Intel recognizes RNITTE as a teacher training and development institute, which offers accredited teacher training certifications such as PGCE, NQTS, Montessori Diplomas and Continued Professional Development Courses (CPD). Cooperation among education sector is the key to harmonization of innovative teaching approaches and eventually to achieving optimal education standards. Forging international collaborations is one of the cornerstones of the RMS 21st century learning and teaching approach. Keeping in mind the changing paradigm of education today, RMS in a first of its kind initiative has customized a unique ICT curriculum in collaboration with Intel Education Pakistan.A project office was set up at the Roots Head Office under the authority of Department of Quality, Curriculum and Assessments DQCA for curriculum. Roots Millennium Schools-RMS and WWF Pakistan has signed an MOU on Green School Certification. By the participation in different activities school will be playing a vital role in ensuring the future sustainability of environmental resources of Pakistan by bringing a positive change in the attitudes of the young people of our society, thus giving way to a more mature, sensible and environment conscious generation. WWF Pakistan has recently launched a Green School Certification model with the objective to engage the students and teachers of private and government school in a structured Annual Awareness Programme to foster sense of individual responsibility and accountability in future generation of Pakistan towards nature conservation. The Green School after completing the full Green Year will be Awarded WWF Pakistan’s accreditation of a “GREEN SCHOOL”. The MOU was signed by Mr. Faisal Mushtaq CEO Roots Millennium Schools and Mr. Ali Hassan Habib, Director General WWF-Pakistan in a formal ceremony. The Millennium Universal College, Pakistan & Institute of Public Chartered of Pakistan have collaborated for CPA programme offered by ICPAP. TMUC students, who are doing or have completed their HND Business in (Accounting Pathway), ACCA, and CIMA can get the Registration / Membership for CPA programme. (CPA will map and/or to provide Exemptions, Transfers, RPL, and APL cases for registration). The Millennium Universal College – TMUC is now a member of OBHE, Observatory on Borderless Higher Education, TMUC is the only member from Pakistan. The Observatory is a higher education think tank with institutional members across 30 countries. Our unique remit is ‘borderless’ higher education worldwide- disruptive innovations such as online learning, internationalization in all its forms and commercial competition and partnerships. We offer analysis on trends, business models and policy frameworks. Our purpose is to provide strategic intelligence for education leaders and policymakers attempting to navigate the opportunities and threats of borderless higher education.